← Nurture a Sense of Community! (Vision – Mission – Our Challenge and Commitment to you and your future). We look upon the expansion of our Watkins/Summit Business as an adventure to be lived and a challenge to be passionately pursued. As humans, we need, in the deepest part of our being, to be involved in something greater than ourselves. We all desire to participate with other like-minded travelers on a noble journey – a mission of great significance. In our business world, Fran and I have selected our Watkins/Summit Group home business as our noble mission. It is our adventure to be lived. Watkins/Summit is a remarkable life experience! We have been participating in this unique business expression for several years and are completely enthused with our progress to this point. Each new day affirms that we are participants in an outstanding opportunity. As time unfolds, we realize more and more that this business has become a special gift to us. Each day we learn of new and exciting ways to serve others. In reality, our Watkins/Summit Business has become a very special mission for us. It is an opportunity to minister to people and a way to give back to life. • We envision a highly successful, self-sustaining and ever-expanding distribution network of Watkins/Summit Associates operating throughout the USA and Canada. We are committed to a dynamic building process that will identify, enroll, train, coach and nurture a sustainable network of 5,000 Watkins Associates before the end of 2015. • The hallmark of our business is: “People Helping People to Prosperity.” The driving energy of our business is service to others. We are in the business of transforming lives so we encourage all Associates to reach out and help others with our remarkable opportunity. When Associates put service to others first they will be rewarded with financial security, time freedom, an enhanced quality of life, personal growth and hope for a brighter future. In the process they will “pay forward” the potential for prosperity and abundance to all those they touch. Our Vision Statement is a declaration of faith and belief! Such a statement helps us to begin our journey with the end in mind. It voices our belief in our ability to build a better future for ourselves, our family, our Associates and possibly countless others. Our vision statement declares what we wish our business to become in the next five years. It creates a strong sense of purpose and self-determination. Purpose and self-determination unleash enthusiasm, energy and the will power to achieve our dream. Our strong vision helps to make our lives a mission of service – not just a career. 1. Encourage Associates to embrace the idea of: “People Helping People to Prosperity.” One person caring about another person represents one of life’s greatest values. The more we reach out and help others to success the more we shall become successful. The foundation of success comes from an attitude of service to others. When we assist, nurture, coach and mentor others we are bringing abundance to them. When we invest our experience, knowledge and passion in helping others to prosper, we in turn create prosperity in our own lives. It is a natural law that does not fail. 2. Practice the “law of reciprocity.” Reciprocity is a spiritual law that speaks to the creation of mutual opportunity for the greater good of all. It affirms the need to give in order to get something in return. It is the principle of sowing before you can harvest! Sow your time, energy, spirit and reasonable capital in the development of your Watkins Business and it has the potential to provide you bountiful harvests for a lifetime. We consistently encourage all of our leaders to “give back” to their communities. Giving back is the beginning of sowing and reaping. We live in a difficult time and there are many noble causes that need our support. Giving to our place of worship and all manner of charities is a form of sowing. If we sow abundantly we shall also reap abundantly. 3. Demonstrate a serious work ethic. To be highly successful in Watkins/Summit requires rigorous and consistent effort. There are no “instant fortunes.” You can’t parachute to the top of the mountain – you must climb it. A dedicated work ethic is expected from any leader in any enterprise. We expect no less from our Watkins leaders. 4. Help you affirm that you are a high performing Watkins Leader. Think of yourself as an Executive-In-Training. You may be a Watkins Consultant, but we recommend that you begin to think of yourself as an Executive. The way in which you perceive yourself will significantly impact the way you behave and approach your business. What you believe about yourself will definitely affect your decisions and outcomes. When you envision yourself as an Executive-in-Training there are no challenges, barriers or constraints that will deter you from achieving your goals! This self-perception will unleash creative energy, passion, consistent effort and the dedication that you need for success! You are in control of your destiny! 5. Teach a fuller understanding of the Network Distribution Industry. We want to educate our Associates so they fully grasp the dynamics of network distribution. We want them to understand the industry and help them to believe in its power and possibilities. 6. Help Associates understand the power and potential of Watkins/Summit. We will instruct interested Associates so they fully understand the Watkins/Summit Business System and develop belief in its power, integrity and value. We will re-enforce belief in the Watkins Company, our products, and the great value of the Summit Group. We will continuously help Associates to understand how the benefits of Watkins/Summit may help solve many of their problems, enhance their lives and create financial security. 7. Affirm our great belief in the strengths and abilities of all Associates. Every Watkins Associate brings unique attitudes, skills and knowledge that can help him/her to grow a Watkins/Summit Business to whatever level they desire. Some Associates will be content to purchase Watkins products for the Associate discount. Others will strive to make a few hundred dollars a month as supplemental income working part-time. Some will rely on Retailing and others will focus on Teambuilding. A few will elect to use our business model to become high-performance network creators. At whatever level an Associate elects to participate we shall do our best to support him/her fully. 8. Teach the essential steps to success for those who want to be leaders. Our business development model emphasizes five activities or accomplishments that will create a high performance business. When these steps are duplicated consistently you will be on your way to great achievements. Step 1. Personally use Watkins Products everyday. Step 2. Consistently present our business opportunity to prospective Associates. Step 3. Introduce our world-class products to as many people as possible. Step 4. Personally earn and sustain your Manager Title. Step 5. Become a creator and developer of Watkins Managers. 9. Identify and develop Watkins Managers. Mangers are the essential building blocks and keys to success in the Watkins Compensation Plan. The best way to create a high-performance Watkins Distribution System is to develop an ever-growing team of productive Managers! The more Managers we build, the more our business will appreciate in value! Strong Managers become “partners for success” and multiply our organization’s value many times over. Managers help to leverage our time, resources, energy, passion, creativity, knowledge, motivation, action and productivity. Leveraging may be looked upon as a kind of “cloning.” Every new Manager we develop may produce at our level or better and contribute significantly to our over-all organizational growth and performance. 10. Support the develop of Watkins/Summit Executives. We will consistently seek Associate Managers who wish to achieve Watkins Executive Titles. They will see themselves as owners of their own International Distribution Organization working in association with Watkins, Inc. and in alliance with the Summit Group. This special group of Associates will have the vision, abilities, skills and resources to create an ever-expanding distribution network. They will demonstrate high levels of self motivation, self direction and self determination. They will be visionary thinkers and mission driven. Their focus will be on creating a large and sustainable network of Watkins/Summit Group Associates. They will continuously work to grow the value of their organization. They recognize that their fortune is in their network. These leaders will be the next generation of Watkins Executives. 11. Emphasize continuing education. Learning is the beginning of wealth. Learning is the foundation of a life that is lived to full measure. Searching, exploring and learning will lead you to your rightful destiny. It is our aim to help each Associate who is dedicated to business and personal growth to understand the importance of “life-long learning.” There shall be a continuous process of education and training. Recommended reading programs and study materials will be offered, which will be designed to help your growth as a leader and entrepreneur. We all must be in the process of re-inventing ourselves. The skills, attitudes and knowledge that got us where we are today – may not be enough to get us where we want to be tomorrow. 12. Systematically share industry research. We intend to continuously research and understand market trends and indicators as they may impact our businesses. Knowing social movements and their contexts can be invaluable in optimizing business growth and tapping new market opportunities. We will focus on aligning our business approaches with major marketing and social trends in order to optimize our results. 13. Generate and share creative ideas and approaches. We hope to assist in generating unique ideas and approaches for the development of your business. Essentially, we want to participate in creating the Watkins/Summit Distribution System of tomorrow! However, any approaches or new directions will be administered within the guidelines of current Watkins/Summit Group Policy Statements and Operating Procedures. We will collaborate with and build upon the existing business model. 14. Assist in recruiting, sponsoring, retention and productivity. Recruiting and sponsoring are the keys to growing a successful Watkins Business, but retention and productivity are equally important. We will do all in our power to offer the resources, training and support required to help you manage these basic business processes. We promise a level of support that when backed by Watkins and the Summit Group will be the very best in the entire network distribution industry. 15. Implement awards, recognition and incentive programs. Watkins has many different awards and recognition programs. The Summit Group is continuously offering incentive programs designed to enhance and increase performance and productivity. Together, we shall learn how to recognize achievement in very motivational and constructive ways. Recognition is a basic human need. One of the most gratifying aspects of the entire Watkins experience is the continuous recognition. It is a great motivator and also a major contributor to retention and productivity. 16. Work in association and compliance with Watkins, Inc. Watkins represents the foundation of our business expression. Without the Watkins Products, support, compensation plan and history of quality and excellence we would not have a business. Without the Home Business model offered by Watkins our business would not exist. Therefore, it is imperative that we support corporate decisions. Decisions to introduce new policies and products or to cancel products from the line are made to assure the future strength and wellness of Watkins. That is very important to us. Every decision that is made by corporate carefully considers the impact on Associates. Always remember that Watkins is on our side. We, the Associates, are the life-blood of the corporation. Watkins ownership and executive leadership work diligently to assure the continuance and stability of the corporation. That in turn ensures the continuance and stability of our businesses as well. 17. Promote continuous liaison and collaboration with the Summit Group. 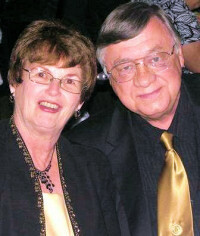 Steve and Ginny Bretzke (Founders of the Summit Group and Watkins Gold Executives) along with Jerry Fochtmann (Watkins Executive and Summit Group Director of Training) are perpetually building new programs, training approaches and incentive programs to support the development of all Associates in their organization. Their approach of giving so much back to their downline is a management model we all need to emulate. Their business philosophy has created and built the most successful and most productive Independent Distribution Organization in the history of Watkins. To take advantage of what the Summit Group offers is simply good business sense! It is very wise to listen to the pioneers who have gone before us! 18. Communicate and Build Community. The most successful Watkins Leaders nurture a strong sense of community among their team members. In addition to Watkins we are blessed to be a part of the Summit Group where a great sense of community is nurtured. We all draw strength from being a part of that illustrious community. On-going communication and interaction are critical. Many of us live hundreds or thousands of miles from each other. We employ the “magic” of modern technology to overcome time and distance. We rely on continuous and effective communications to build and maintain the bonds of community. by a remarkable team effort! Our vision will be achieved through the drive, self-determination, energy, will power and creativity of our current and future Associates, Managers and Executives. Achievement of our vision will be a perfect example of the power of leveraging and an affirmation that network distribution is a viable, sustainable and nearly “perfect” business system. Further, it will demonstrate the power of the alliance between Watkins, The Summit Group and our Associates. It will stand as a model of a classic win-win situation for all stakeholders. It is our belief that you could become a future Watkins/Summit Executive! As a successful person you possess a set of special skills, values and attitudes that can serve you well in developing a viable and lucrative Network Distribution Business. Here is your opportunity to bring all of your life experience and passion to bear on creating a business that has no financial limits or ceilings – a business that can bring a whole new quality of life to you, your family, your Customers and the Associates you sponsor. We offer every Associate the opportunity to excel. We invite you to participate in an exciting, evolving and dynamic process of personal and business development. You may elect to become a co-creator with us in building the most successful business venture that our collective energies can envision and accomplish. Although you are the Owner of your very own International Distribution Organization working in association with Watkins and in alliance with The Summit Group, you will never be operating alone. You will be surrounded by other highly competent professionals who genuinely care about your success and achievements. You will become a member of a highly collaborative “Dream Team” that shall work together for the common good of all. Here is your opportunity to catapult yourself into the world of inconceivable possibilities! We trust that you will carefully consider what we are sharing here. Possibly you will “catch the vision” and become a leader with us in this exciting business journey. The key to success is to focus all of our energy, resources, knowledge and passion on the development of deserving and dedicated Associates, who desire to build their own high performance organization. Those who successfully participate with us will create an exemplary life of service to others and assure financial freedom and a significantly enhanced quality of life for their families and themselves. It is our desire to help empower and motivate deserving Associates to extraordinary action and achievements. Know our vision – and create your own! We feel that it is very appropriate that we share with you what is important to us and what drives our business progress. Hopefully, some of our ideas will inspire you to craft your own vision and mission statement and set your own goals. You may discover that thinking about these ideas and writing them down may serve as a driving energy for your own business. Of course, your vision and mission statement must align with your own unique wants, needs, desires, goals and resources. Only you can create the vision of where you want your business to be in the next five years. Only you can paint a picture of your preferred future. Our commitment to you! We pledge our service and support! We are confident in our ability to train, mentor and support all who wish to become leaders and pacesetters in the Watkins/Summit business system. We have an established track record of results oriented coaching and training in manufacturing, engineering, Real Estate, banking, healthcare and distribution industries. For more than 30 years, we have been training business leaders, managers, entrepreneurs and business owners in the skill-sets required for success. It will be our privilege to serve you as well. Teamwork is a beautiful thing! Together we can make it happen! Join us in the adventure of a life-time! Create your own vision and goals! Unleash your passion! Collaborate, grow, achieve and excel. Leave a legacy! Take full advantage of the remarkable Watkins/Summit Business Opportunity!